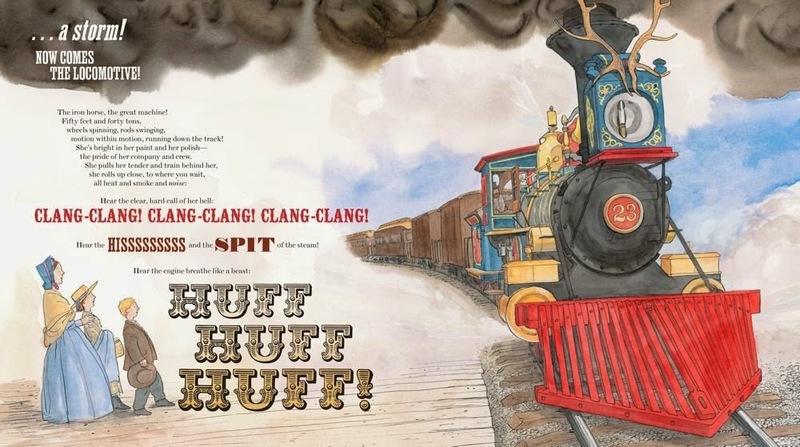 Synopsis (from Goodreads): The Caldecott Medal Winner, Sibert Honor Book, and New York Times bestseller Locomotive is a rich and detailed sensory exploration of America's early railroads, from the creator of the "stunning" (Booklist) Moonshot. It is the summer of 1869, and trains, crews, and family are traveling together, riding America's brand-new transcontinental railroad. These pages come alive with the details of the trip and the sounds, speed, and strength of the mighty locomotives; the work that keeps them moving; and the thrill of travel from plains to mountain to ocean. Brian Floca was born and raised in Temple, Texas. He graduated from Brown University and received his MFA from the School of Visual Arts. While at Brown, Brian was able to take classes at the neighboring Rhode Island School of Design, where studies with author and illustrator David Macaulay led to an introduction to Avi, which led in turn to illustrating Avi's City of Light, City of Dark, published by Richard Jackson at Orchard Books. Brian has been illustrating, and writing and illustrating, ever since. His books as author and illustrator include Locomotive, winner of the 2014 Randolph Caldecott Medal, a Robert F. Sibert Honor Book, and a New York Times 10 Best Illustrated Books of the Year selection; Moonshot: The Flight of Apollo 11, a Sibert Honor Book, New York Times 10 Best Illustrated Books of the Year selection, and Society of Illustrators silver medal winner; Lightship, a Sibert Honor Book and Booklist's "Top of the List" picture book for 2007; and The Racecar Alphabet, an ALA Notable Children's Book and a Kirkus Reviews Editor's Choice. 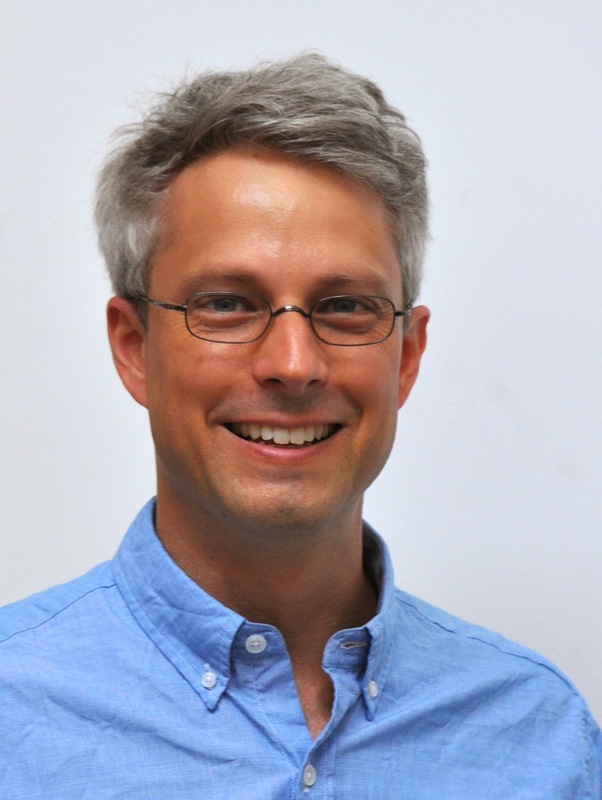 In addition to City of Light, City of Dark, Brian has illustrated Avi's Poppy, winner of the Boston Globe-Horn Book Award, and the other books in the popular Poppy Stories series. He has also illustrated Ballet for Martha: Making Appalachian Spring, by Jan Greenberg and Sandra Jordan, a Sibert Honor Book and winner of the NCTE Orbis Pictus Award for Outstanding Nonfiction for Children; The Hinky-Pink, by Megan McDonald, an ALA Notable Book and Texas Bluebonnet Award Master List selection; Kate Messner's Marty Marty McGuire novels; and Lynne Cox's forthcoming Elizabeth, Queen of the Seas. Brian has answered telephones at Harvard University (part-time job) and taught continuing education and undergraduate classes at the School of Visual Arts. He currently writes and illustrates full time. Brian lives and works in Brooklyn, New York. 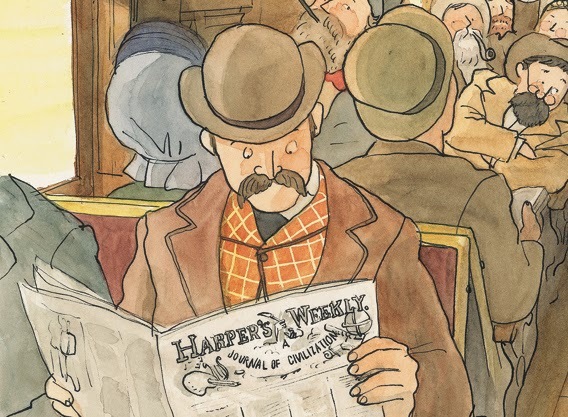 If you haven't checked out this year's Caldecott Award Winner, then you absolutely must! Along with my newfound appreciation for Children's Literature, I decided to purchase this book as a deal I had through my B&N membership. I had so much fun reading it and enjoying the illustrations, whilst being introduced to the writings and artwork of Brian Floca. You will not be disappointed! Locomotive journeys through a family's travelings from Omaha, Nebraska to Sacramento, California in 1869 as a result of Abraham Lincoln's involvement in the Pacific Railway Act. This act connects the east to the west by railroad, and the project was completed 5 years ahead of schedule. Through the reading and illustrations, Floca transports us across the US and provides the reader a learning experience along the way. There's just enough history and detailed illustration for older children to observe, while younger children can chug along with the rhythm of free-verse and onomatopoeia. Floca also provides a curriculum guide to use Locomotive as a tool for educational purposes. He shows how to develop a sense of integration between text and illustration to build knowledge for students and children. Resources can be found in the sleeves and inside covers to establish foundational learning and maximize comprehension. 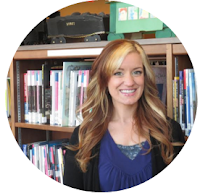 Floca has taken the time and effort to provide readers and educators multiple options for retention. Honestly, I am very impressed with Brian Floca's ability to balance text and illustration. Most authors I come across who attempt to wear both hats of "Illustrator" and "Wordsmith" tend to lack in one of the areas. Not in this case. 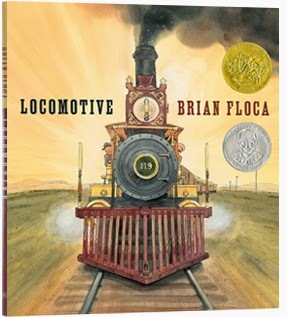 Not only does Floca succeed in accomplishing both, rightfully being accompanied by the Caldecott Award, but he also goes above and beyond to ensure that it is a true learning experience complete with vehemently researched facts. He purposefully changes font, size, and color to keep the reader interested and retain a mental image of the information. In my opinion, Floca's artwork is beautiful. Just an interesting little tidbit, it took him 4 years to produce Locomotive. Although, in his own opinion, watercolor isn't his forte nor his first choice, he's produced amazing work worthy of reward.